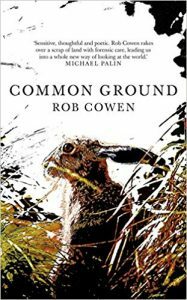 Carl Hutton, Chief Executive of the Leeds Library, reviews Common Ground in advance of Rob Cowen’s appearance as part of the WildLines programme which starts on Thursday. Common Ground was voted the nation’s third most favourite nature book in a poll by the Land Lines project earlier this year and featured on BBC’s WinterWatch. Rob will be at WildLines @The Leeds Library on Saturday 17 March, 3.30pm as part of Chapel FM’s Writing on Air Festival and will be live broadcasted on the day. You can book your tickets here. The context for the book is the charting of a year in the life of the writer which sees him moving back to North Yorkshire to live in Bilton in Harrogate. He has just been made redundant and is about to be a father for the first time. During this year of momentous change, he takes to discovering, exploring and increasingly obsessing over the wildlife he witnesses and notes on open ground near his home. The interweaving of his personal story with the exploration of the wildlife on the piece of land develops into a poetic prose, his experiences of discovering wildlife increasingly providing a therapeutic counter balance to the challenges that his life brings him. The narrative of the book evolves from that of a 1st person account of the wildlife seen to looking at the common ground through the eyes and mind of the wildlife that Cowen sees. Whilst not to everybody’s taste, this approach has created a fascinating, accessible and moving account of wildlife that can be found on our door step and how we and the wildlife around us are connected to the earth and seasons. In knowing the area of land that Cowen writes about and having a vested interest in the town planning of Harrogate myself, I was apprehensive as I started to read Common Ground that it would be belligerent in its criticisms of urban development and the ongoing destruction of the countryside. However, it turned out to be a wonderful, lovingly written reflection on a year in the writer’s life and has sparked my interest in contemporary nature writing, a genre I have never really been that interested in. I would recommend this book to anybody. Scriptophilia with Peter Spafford and Richard Ormrod opens the Big Bookend festival week TOMORROW! 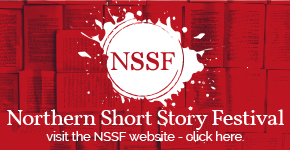 Next story Announcing the Programme for The Northern Short Story Festival, 2-3 June 2018!